On Saturday, Phil Bromberg led a merry crew to clean up the frontage of the library, closed since October and a magnet for rubbish and rats. More than a year since closure was decided, the campaign very much continues. This is our library and we want it back. In the meantime, 1000s of books, worth more than £10,000 have been collected for our temporary library. If Brent thinks are going to ‘migrate’ to their £3 million mega-library several miles away, they are mistaken. It is going to take more than a free DVD. And we have a better reference selection. 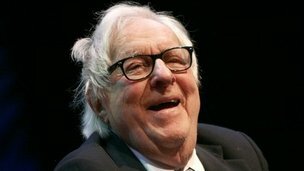 Ray Bradbury, author of Fahrenheit 451 – the temperature at which books combust – died this week aged 91. Hat tip: the fair Geraldine. They may have removed our banner in the dead of night, but the world can still see it on Google street maps. Many of you will have noticed that in the months since it closed Preston Library has become something of an eyesore – infested with weeds, and a magnet for litter. You could, I suppose, argue that this mess is a fitting monument to the work of Ann John and Gareth Daniel, but this was – and will again be – our library, and we have decided to clean up and re-plant the front garden.